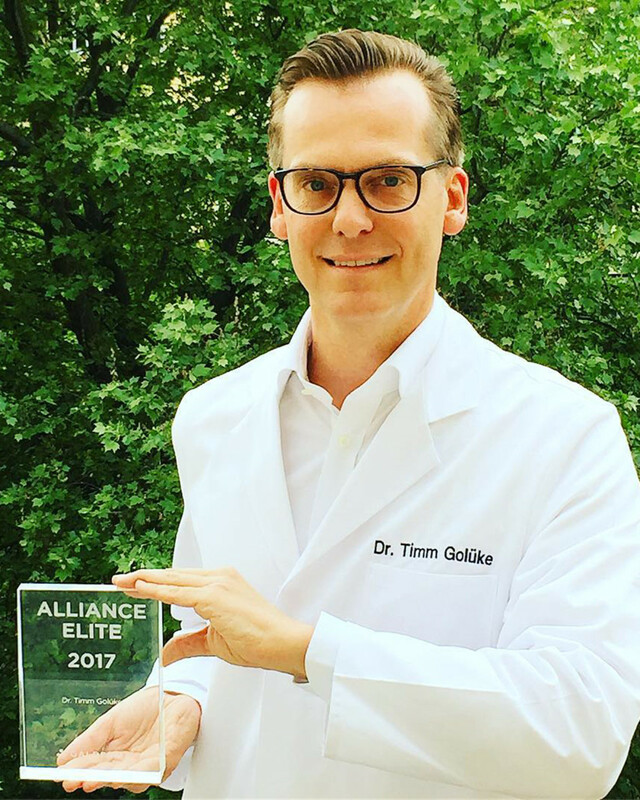 With a clientele that includes royalty and celebrities from Europe and beyond, Dr. Timm Golueke is in high demand. 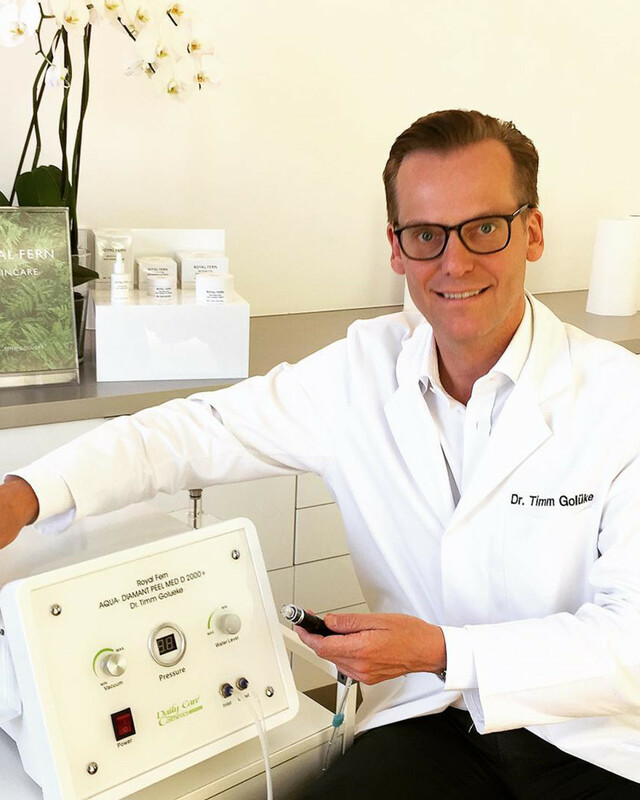 The German dermatologist is renowned for his expertise in lasers, injectables and cutting-edge treatments like PRP [platelet rich plasma] therapy. However, he&apos;s not just a cosmetic doctor—he also treats acne, rosacea, allergies and other skin conditions. So when he went to develop his own skincare products, his reputation was on the line. They HAD to work! 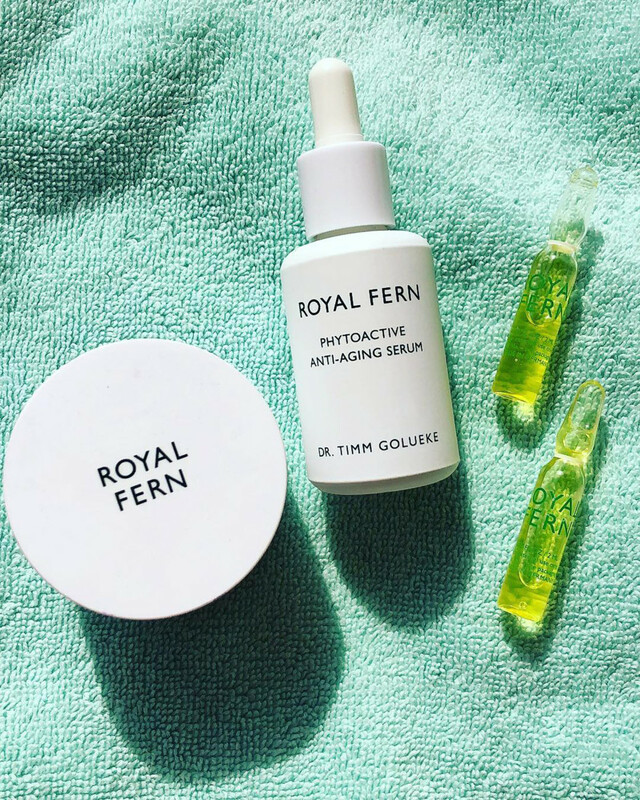 After years of research and testing, he finally launched Royal Fern, a minimalist, gender-neutral range based around a surprisingly humble ingredient: the fern. Who would have thought that a common houseplant had powerful anti-aging benefits? 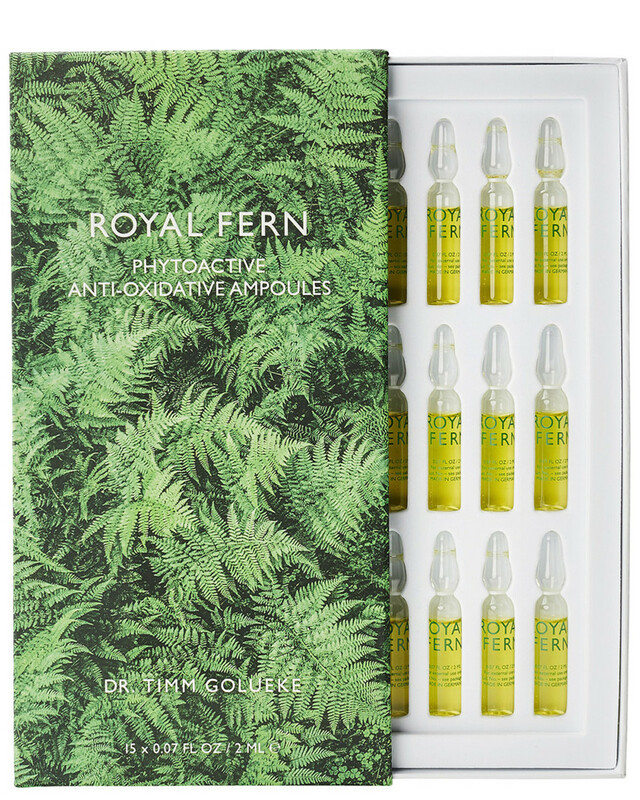 But it does—so much so that Dr. Golueke successfully patented the Royal Fern active ingredient complex, which is all-natural and infused in every product. Now, you can find the line worldwide at retailers such as Neiman Marcus, Violet Grey and Canada&apos;s Holt Renfrew. 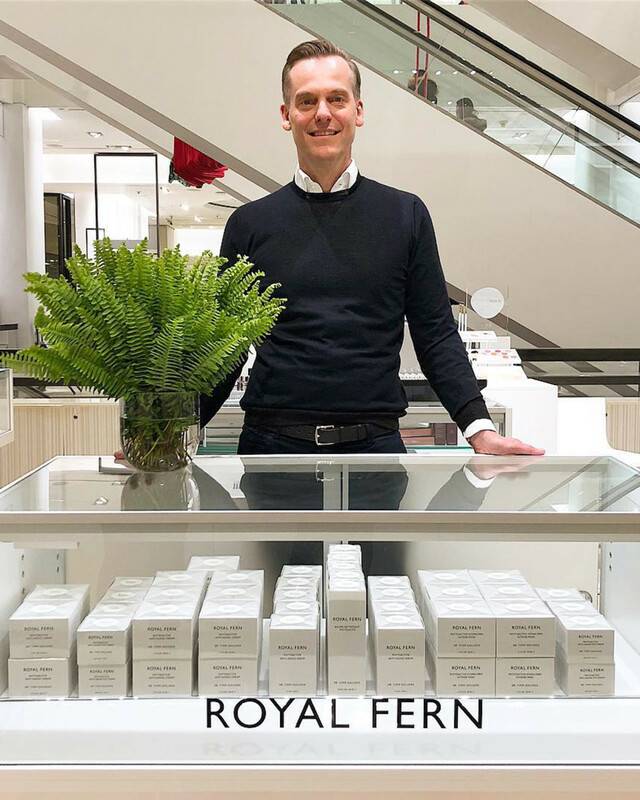 I sat down with Dr. Golueke during his recent Canadian visit to find out more about Royal Fern and to learn his tips for healthy, youthful skin! 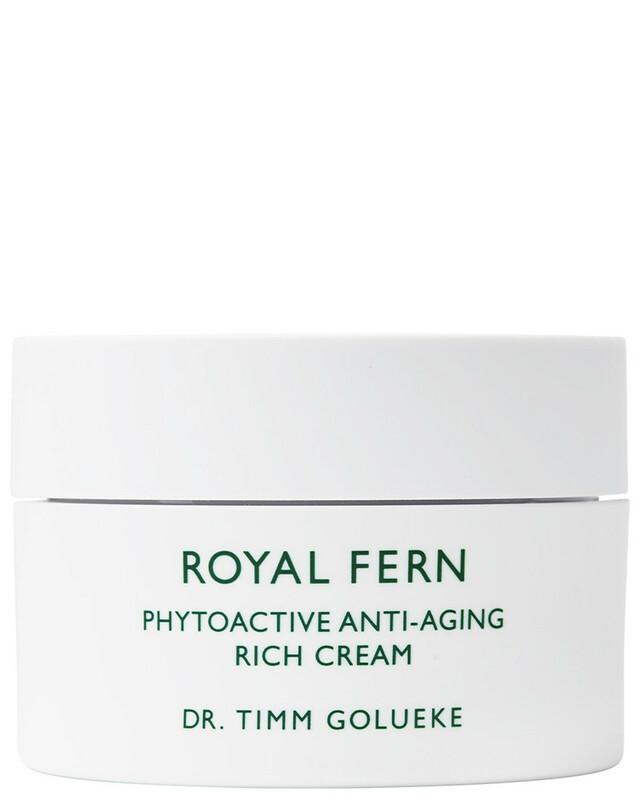 I&apos;m the man behind Royal Fern, but I&apos;m also a dermatologist. 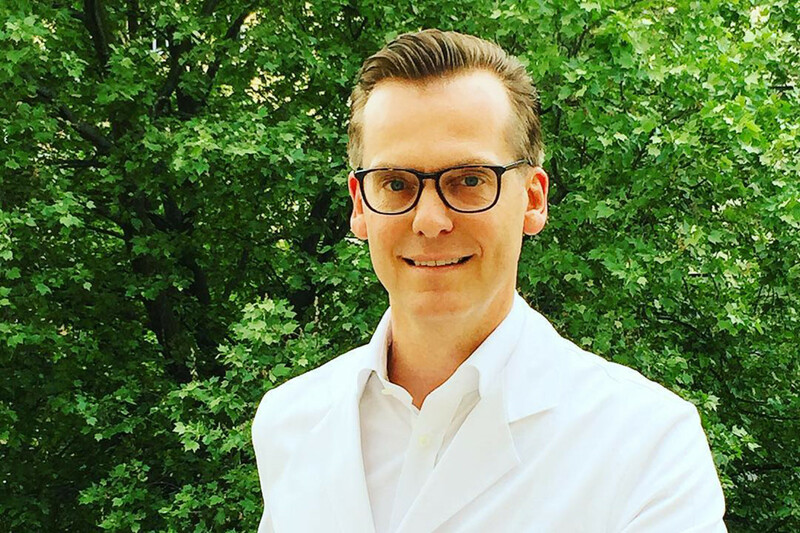 I&apos;ve had my clinic in Munich for 15 years, doing not only aesthetic procedures but also general dermatology. Do you still have an active dermatology practice? What area of expertise are you most known for? I am known for laser therapy. We have one of the biggest laser centres in Munich. I&apos;m also known for general dermatology. I started when there was no Botox and no fillers. I would say that today, aesthetic medicine is about 50 percent of the procedures I am doing. It&apos;s Botox, it&apos;s filler, it&apos;s PRP, it&apos;s laser, it&apos;s peels. We have cosmeticians in our clinic who do procedures like microneedling. The other 50 percent is general dermatology for all ages and genders. Everything from eczema to mole checks to alopecia. It seems like a lot of derms only want to do the aesthetic procedures now, since they&apos;re so lucrative. Have you noticed that? Yes, it&apos;s very hard to find a derm who still does general dermatology. I get a lot of people not only from Munich, but who come from Switzerland, Austria and London to get classical dermatological advice. Here, even family doctors and dentists are offering Botox. Yes, everyone does it. It&apos;s not good that the Botox companies sell it to every doctor. It is destroying the procedure. It&apos;s a little bit like liposuction, which got destroyed. At one point, a lot of doctors did weekend courses because they thought it would be an easy way to make money. But it&apos;s still a human body that you are treating, and it&apos;s a medical procedure and there are risks. With Botox, there is also a risk. And there is a risk that you don&apos;t like it. I don&apos;t like the fact that some people consider it "easy." Would you agree that it&apos;s always best to get Botox or fillers done by a dermatologist, not a nurse? Yes, you are totally right. 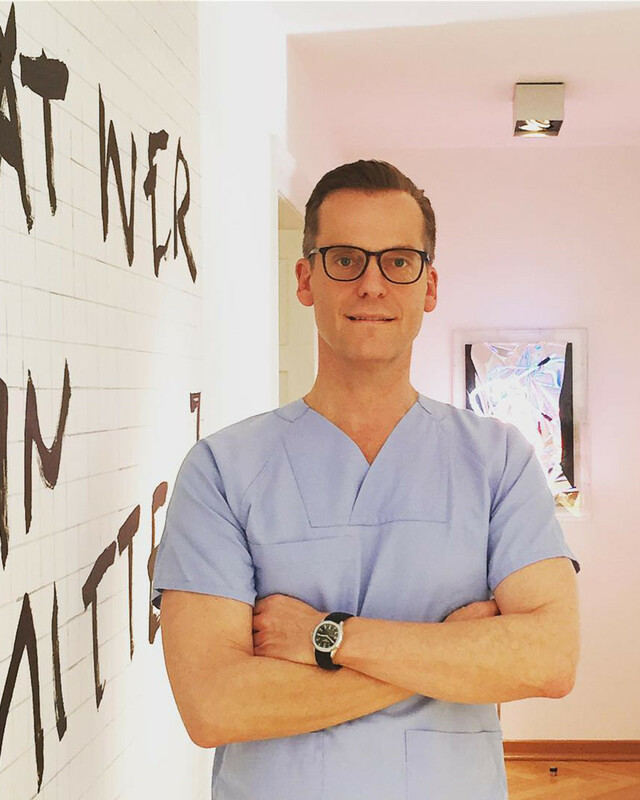 The big difference between aesthetic procedures in the States and Canada versus Germany is that [in Germany,] nurses are not allowed to do them. Botox is prescription only. To get it you need to be a doctor, and to provide it to patients, you need to be a doctor. 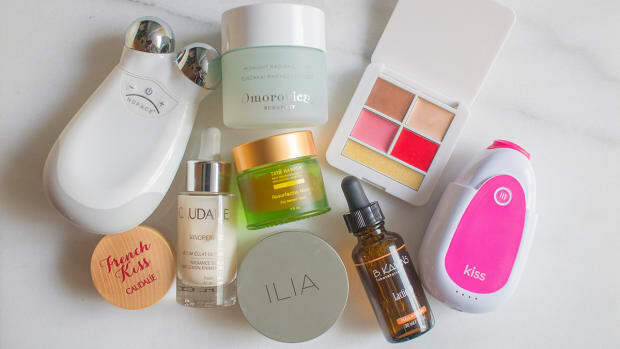 It seems like Germany is having a real moment in skincare right now. I recently interviewed one of your colleagues, Dr. Barbara Sturm, who also has an anti-aging line. But she is not a dermatologist. Anyway, yes, Barbara is also a German doctor. I think German medicine is very well known because it is clear. So talking about me, for example, I am very straightforward about what I think would be the best solution for the problem, and I explain this to the patient very clearly. Sometimes it&apos;s too direct! It depends on the patient. Yes. Sometimes I am, too! But German medicine, it has a good reputation and people trust German science. Of course, we have to make money but it is not only money-driven. I would never recommend a procedure or test if I already know what the cause is. Do you have a lot of celebrity patients? Of course, but you&apos;re not allowed to mention those. It&apos;s a doctor&apos;s secret by law. But I have a lot, [such as] royal families from the Middle East. That&apos;s why I&apos;m also going to Dubai from time to time. What&apos;s the most common skin concern amongst your patients? I would say it&apos;s impurities and acne breakouts. Through all ages. People think that it can only happen in our teens, but you can also have this when you are older. Many things can lead to impurities. It can happen because of hormone disfunction, because of over-treatment of the skin, because of perioral dermatitis, or because of too much vitamin B. Or it can happen because you use the wrong skincare. [The right products] are something you need daily. I always got the impression that dermatologists don&apos;t want to talk about over-the-counter skincare products—like that is not serious enough to trouble them with. Yes, you are right. But it&apos;s a daily business of a dermatologist that people come and ask what creams they should use. A lot of people just don&apos;t know. They get recommendations from the media, from girlfriends. They spend money, but they&apos;re lost in beauty heaven. If you go to a store, it can be very hard to find someone who really gives you honest advice. So whenever someone comes to me, I always ask, "What products are you using now?" And when they make the first appointment, I always ask our patients to bring their current skincare routine to look over it. Some of them bring tons of stuff [that was] so much money. I feel bad when I see that and they still don&apos;t look better, skin-wise. When you look at their products, are you mainly checking the ingredients? Not to sell, just to see if this is right. For example, if you have rosacea, then a high percentage of vitamin A or a fruit acid peel might not be the right thing. Often people think they have acne, but it&apos;s rosacea. They&apos;re using peels, Clarisonic brushes and other devices, and it gets worse, worse, worse. Even educated people do this. Often they do too much. So no, patients should not be afraid to ask their dermatologists about skincare products. Not at all. Is that what got you thinking about launching your own skincare line, after seeing what your patients were using? Yes, exactly. This was the idea of creating a skincare line, because the demand was there. This was seven years ago. Why did you decide to base it around the fern? 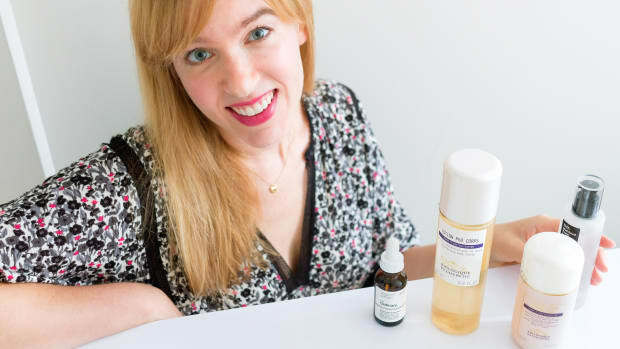 Well, doing a skincare line is a big thing. 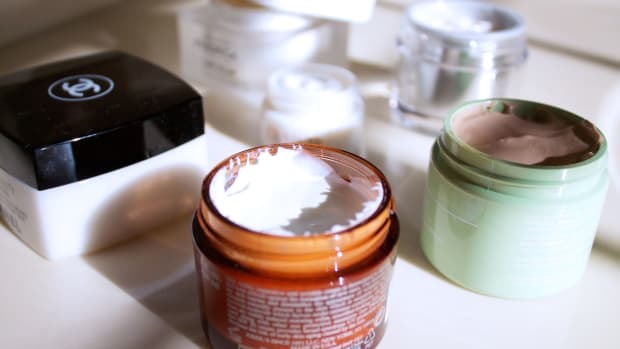 You need to have someone who does it with you, because even though I am a dermatologist—even though I know about skin types and ingredients—I do not know how to do a cream. So I decided to [collaborate with] a German professor and biochemist, Dr. Leonhard Zastrow, who holds more than 500 patents for the industry. I was looking for an ingredient that I believed in, and in our search, I came across a study out of Memorial Sloan Kettering Cancer Center in New York. They were using fern as a supplement for melanoma patients, because fern is protecting the cell DNA from UV rays. So then we started to think about the fern more and more. 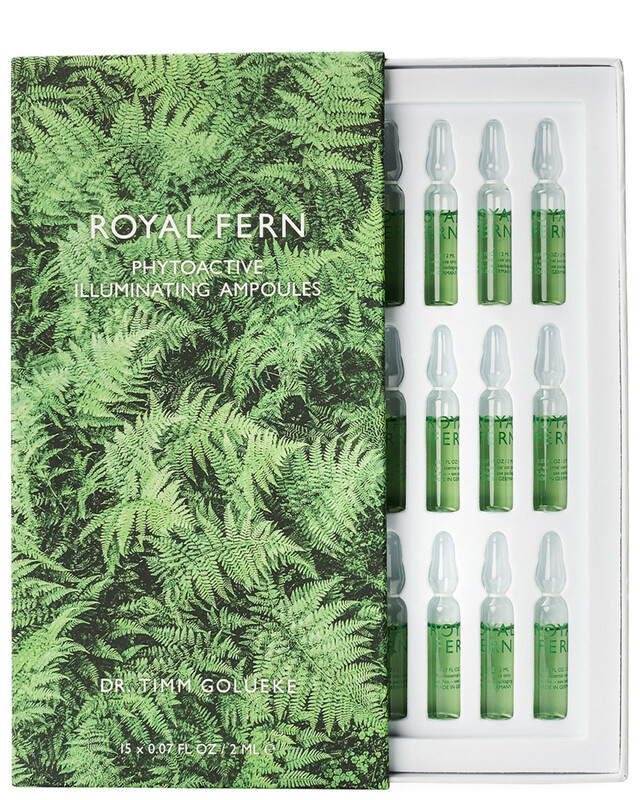 I&apos;ve never heard of fern having skincare benefits until now. Right, fern is a new ingredient for us. 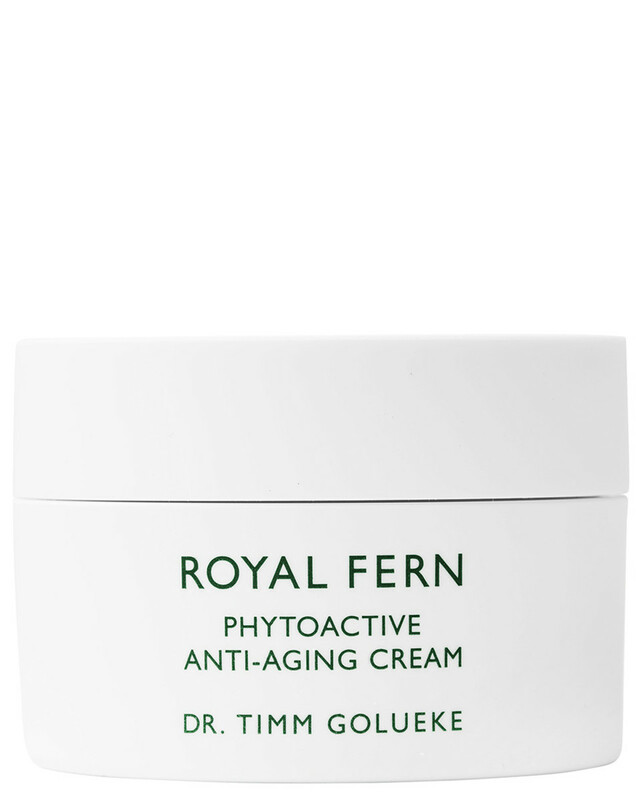 We&apos;ve never really thought about the fern as having anti-aging properties. But actually, it has a long history of use in traditional medicine all over the world. Ferns have been used for centuries to heal eczema, inflammations and skin diseases. For example, when my Russian patients first saw [Royal Fern] in my clinic, for them it was nothing new. They use the leaves for eczema and wounds because the fern is so anti-inflammatory. In Latin America, they also use fern extract in creams for eczema. Due to the anti-inflammatory properties, of course, it is working against aging skin. Because what is aging? It&apos;s a chronic inflammation, nothing more. How does fern protect the cell DNA? Fern is highly antioxidative. I was in Korea recently, and the monks there cook teas out of fern leaves because of the antioxidant properties. So if you go to the supermarket in Seoul, you can buy fern leaves. And it&apos;s slightly brightening, because it is inhibiting production of pigment. If you think about it, the fern is everywhere, sometimes even on the street. It&apos;s evergreen and resistant to sunlight. I think it&apos;s a beautiful plant, but in most people&apos;s minds, it&apos;s not a very elegant plant because it&apos;s all over. It&apos;s one of the first plants that came from the ocean to the land, so there must be something to why the fern is so common and so resistant to everything. And now you hold a patent on it, correct? 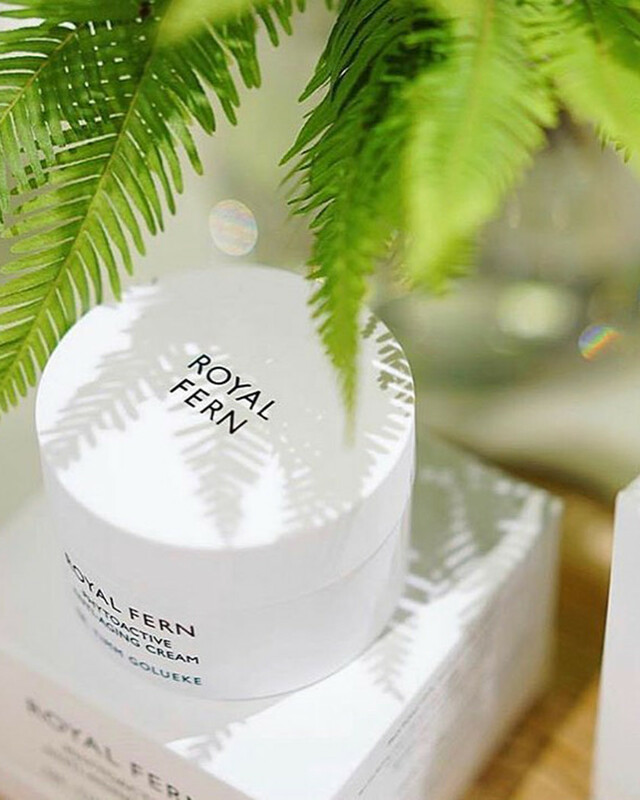 I hold the patent on the Royal Fern Complex, which is five ingredients. We were looking for other ingredients to strengthen the power of the fern. All the products contain the Complex and I have the patent for 20 years on that. What are the five ingredients in the Complex? The fern extract; we use the leaves and the roots. Then we combine it with Voacanga seeds, which are from an evergreen tree in Africa. We also use wild rose blossoms because of the vitamin C, sea buckthorn for moisture, and mineral oxides because they reflect and protect from UV light. The mineral oxides also give a blurring effect, but we didn&apos;t choose them for that reason. 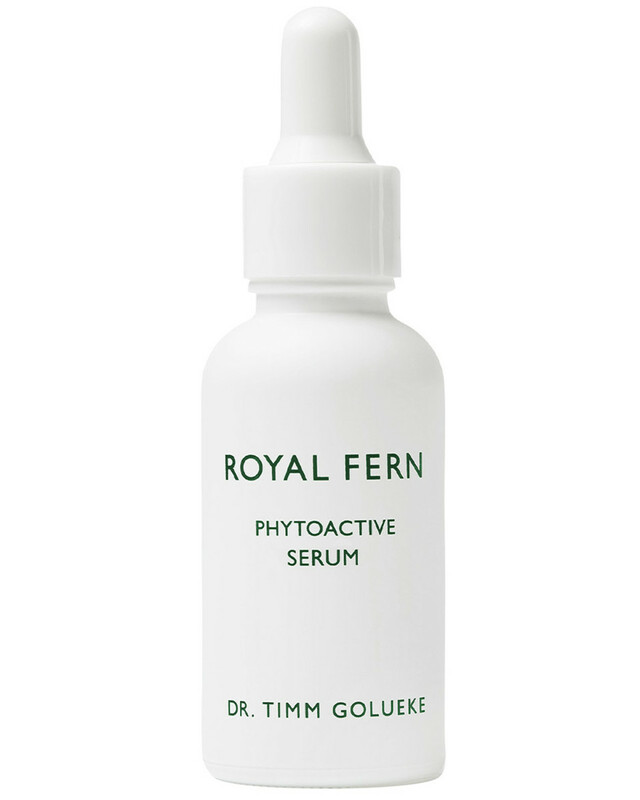 Besides using fern, how would you say Royal Fern is different to other medical skincare brands? Yes, we are the only skincare line using fern, so it&apos;s very unique. I think it&apos;s also [that I am] a dermatologist. There are a lot of plastic surgeons [with skincare lines] on the market, but where does the expertise come from? Everything is done by us. It&apos;s made in Germany, in Bavaria, and it&apos;s hand-filled. We test all the products and everything goes through my hands. Sometimes, it&apos;s really stressful. It takes us at least one year to create a new product. Retailers will say, "Oh, we need this!" But it&apos;s not so fast. We have to do all the testing. If you had to pick just one, which product should people try? I think maybe start with the Cream. That&apos;s the hero product. It contains the Complex, of course. It contains peach extracts, a mild form of vitamin A, hyaluronic acid and vitamin C out of an Acerola cherry. What kind of vitamin A do you use? Oh, that&apos;s so hard to find! We have it in the Cream, the Mask and the Rich Cream. Would it be suitable for your patients with acne? Not for someone who needs to be on Accutane, of course. But if you have impurities from time to time, it helps with that because [the fern] reduces inflammation. But you should see your dermatologist to see why it&apos;s happening in the first place. It feels really light. Not oily. It&apos;s super light. It&apos;s free of mineral oils and it goes in fast. No dimethicone. The only product where we have it is in the Eye Cream, to cover the ingredients to get in. Because otherwise it will migrate? Yes, but that&apos;s the only product. And no mineral oils, no parabens, not tested on animals and vegan. Do you use fragrance? A lot of people are trying to avoid fragrance these days. We use a light fragrance, not in the Eye Cream but all the other creams. It&apos;s done by a perfumer; it&apos;s a gender neutral fragrance that goes away very fast. 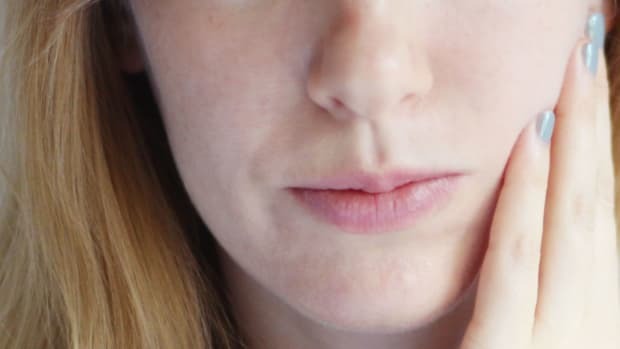 It was important because I have patients who used [other] creams, and their husbands, boyfriends, girlfriends, whatever next to them at night would say, "I don&apos;t like the smell." So people had to like it. Is it a natural fragrance? But it won&apos;t harm your skin? And the line itself—you wouldn&apos;t call it natural, would you? It does have natural ingredients, but things like hyaluronic acid are not natural. So we couldn&apos;t claim it was a natural skincare line. 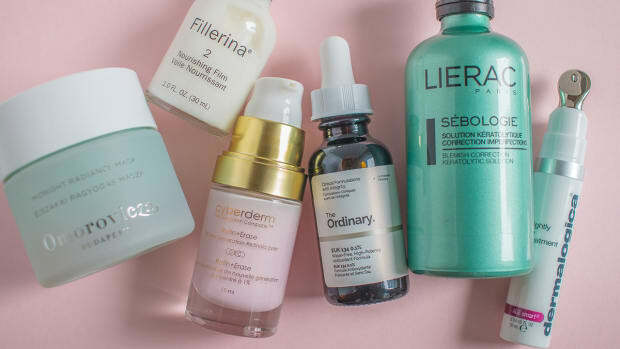 Everyone loves hyaluronic acid; I love it, too. It&apos;s a gold standard, and it&apos;s not natural. Is everything natural necessarily better? No. Some of the worst allergies are caused by tea tree oil, or when people are allergic to nuts and get swollen lips. I feel like we&apos;re moving away from the idea of "natural is good" and "chemical is bad," or vice versa. There are lots of brands that take the best of both worlds. Right. When you don&apos;t like chemicals, that&apos;s fine. It&apos;s the decision of the patient. But being a doctor, I cannot claim that something is working that is not working. You also wanted to create products that anyone could use, correct? Anyone. It&apos;s gender neutral and also the packaging is gender neutral. I don&apos;t believe so much in the separation between men and women, old and young. I think it&apos;s more about skin types. Some people need something richer, some people need something lighter. I find most creams are too much for me. The Cream would be perfect for you because you are more like me, the rosacea type. After we launched it, patients of mine came back and said their rosacea was better, because it is anti-inflammatory. We also have a Rich Cream that might be too rich for you, or it might be good at night or in winter when you have a more sensitive skin type. That doesn&apos;t feel heavy either. It goes in very fast, but the Complex is packed in liposomes so it slowly releases over 12 hours. It&apos;s more for the customer who wants to have the rich, mineral oil-based creams, but this is mineral oil-free. [Before my patients tried it,] they would say, "I like it but it&apos;s not rich enough." I said, "Wait, you will see tonight. Write me an email tomorrow and you will see that your skin is completely moisturized." Would you wear the Serum underneath it? Yes, for hydration. You would use it underneath your Cream. The Serum has long chain hyaluronic acid and the Complex in a higher percentage. Do you think eye cream is necessary? Eye cream is very important. It&apos;s where the wrinkles first appear, because of constant movement, and it&apos;s the most sensitive area of the face. Our Eye Cream contains chamomile for puffiness and a high percentage of vitamin C for dark circles. Plus the Complex, of course. You can also use it like an eye mask. Dark circles are so hard to treat, aren&apos;t they? Yes, it&apos;s really hard. There was one cream from Belgium [that worked] using vitamin K, but they took it from the market because people are not really sure if vitamin K could be carcinogenic. What do you suggest for cleanser? Soap-free and sulfate-free, like our Cleansing Balm. Soap and sulfates are not good for your skin. So it doesn&apos;t strip your skin of its natural oils, and it&apos;s also removing makeup. It also contains a high percent of hyaluronic acid, green tea and cucumber. Some people only use this in summer, wash it off, and then SPF on top. Due to the hyaluronic acid, it&apos;s already treating your skin. How important is sunscreen? I assume very important, being a dermatologist. Very important. Even if it&apos;s cloudy, [you should] wear it. Ideally SPF 50. Sometimes, I&apos;m confronted after people have a glass of wine, and they start asking you these questions about it. They say, "There&apos;s this study, and people got even more melanoma after SPF." It was this famous study where one group used SPF and the other group didn&apos;t. The group that was using SPF had a higher coincidence of melanoma. I&apos;ve heard of that study. People always refer to it. But if you look it up, the study was of people who have been using SPF and are exposed to the sun. [They got melanoma because] either they had sensitive skin, like us, or they were working out or doing sports outside for years. The other group, the people who didn&apos;t use sunscreen, they were at home inside, in front of the TV. This is why [the researchers] used them—it&apos;s not a study where they gave no SPF [and had them go outside]. Any plans to launch a sunscreen of your own? No. It&apos;s complicated because the regulations are different all over the world. I always recommend people go for the pharmacy stuff, like La Roche-Posay or Avène, because they [protect against] UVA and UVB. There is also a very good company called ISDIN from Spain that we sell in our office, maybe you can find it on Amazon. I love it. You can use it around the eyes without irritating them. Often we forget, but it&apos;s very important to wear sunblock around the eyes. Do you think pharmacy sunscreens are more protective than something you&apos;d find at, say, Sephora? I think the more lifestyle-oriented brands should keep their fingers away from SPF. If you use our light Cream under an SPF from the pharmacy, it&apos;s so much better than using a cream that already has an SPF in it, with all those add-ons. How do you know the percentage [of active ingredients] is as high as needed? We&apos;re not only talking about wrinkles, but also melanoma and basal cell carcinoma, so it&apos;s a medical thing. What about exfoliation? Do you plan to have any exfoliating products in the line? We will have a toner soon using gluconolactone. Yes, it&apos;s a gentle version of fruit acid. What do you think about acids in general? A lot of brands have been inspired by Lotion P50 lately. Biologique Recherche. First of all, I must say I love it. Yes. We&apos;re the only clinic in Germany that carries Biologique Recherche. So we do the treatments and [sell] the Biologique Recherche products. They&apos;re really trustworthy, good products and P50 is the gold standard of toners. So would you say that a mild blend of acids can be beneficial? Alpha, beta and also milk acid, lactic acid. Yes, they are really proven. They can help with acne. They also induce the production of new collagen. They slightly exfoliate, which activates the natural cell turnover. But there are also skin types that shouldn&apos;t use acids, even from Biologique Recherche. P50 and even the lighter version, P50W, is not good for all skin types. No. For very sensitive skin or dry skin, it can be too strong. Around the eyes, it&apos;s much too strong. It&apos;s irritating. And it can make rosacea worse. I love them, and we are working with them, but it&apos;s not for everyone. Is there one ingredient that you do think everyone should use? There is no one ingredient that is good for everyone. Maybe hyaluronic acid, because it&apos;s only giving moisture. But even then, I don&apos;t believe in products that only contain hyaluronic acid. You&apos;ll always need it in combination with other ingredients—otherwise it adds an extra step, and most people in Canada, the States, Germany don&apos;t do the Korean regimen with five steps. We do two steps. That&apos;s it. So if you use one step for the hyaluronic acid product, where do you include the antioxidants? Right. So antioxidants are very important, too. We always think of the sun, but it&apos;s also the daily air pollution. The dust that causes free radicals, which needs an antioxidant to neutralize them. We have new ampoules, the Anti Oxidative Ampoules, that have riboflavin, green tea, grape extracts and vitamin C. It&apos;s a daily dose that you can apply at night after sun exposure, like if you did sports or were with the children on the playground—whenever you went outside and need extra antioxidants. It&apos;s a monthly supply, 15 in a box, so you can use one ampoule every other day for four weeks. Or you can use it whenever you need it. Wouldn&apos;t you want to use it every day? You shouldn&apos;t use it every day all year, because it&apos;s really strong ingredients. I recommend either a three-month course or whenever needed. Also, it&apos;s better to use it at night. Why ampoules and not an antioxidant serum, like C E Ferulic? With a serum, you open and reopen it, so you need a higher percentage of preservatives. [The Ampoules] need less preservatives, and contain an even higher percentage of [active] ingredients than our Serum. Also, the patient knows exactly how much to use—each ampoule is one dose. They&apos;re easy to travel with. We don&apos;t get sun during the week, but on the weekends, that&apos;s perfect to take with you. We also have the Illuminating Ampoules, which is a brightening product. It contains niacinamide, which is the most classical brightening ingredient, and vitamin C, which is reducing the production of pigment. Chlorophyll is leading to the production of collagen and gives it a green colour. Also, a new ingredient that I found in Korea last year, Asian lizard tail. Not the real tail of a lizard—it&apos;s the plant that has that name that is inhibiting melanin production. 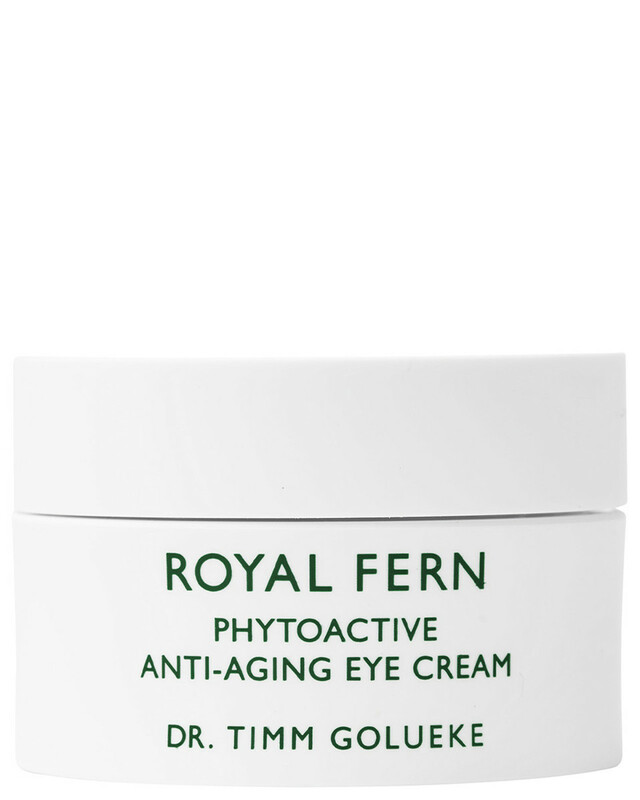 How long does it take to start seeing results from a Royal Fern regimen? You have to give your skin at least four weeks, because the normal cell turnover is four weeks. To sum up, what would you say are the absolute essentials for healthy skin? An antioxidant—whatever one you choose, fern, CoQ10, vitamin C—to protect from free radicals. Slightly exfoliating with retinol or acids to activate the natural cell turnover. The activation of new collagen with retinol, vitamin C, polyphenols or fern. Sleep. Seven to eight hours of sleep. And you need to clean your skin because of urban pollution and dust. We always forget about that. Should we be cleansing twice a day? If you have sensitive skin and you take a shower in the morning, you don&apos;t necessarily need a cleanser. The most important thing is to clean your face at night. But if you come home after a big night out and you go to bed with makeup on once in a while, it&apos;s also good, because beauty comes from the inside. You can&apos;t be too neurotic about your routine!